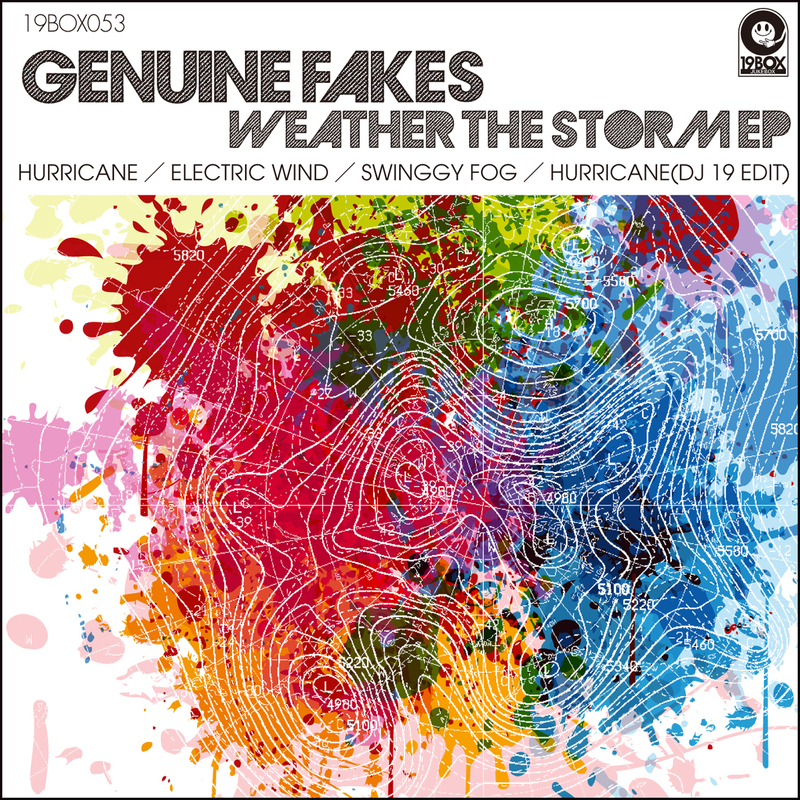 GENUINE FAKES RETURNS WITH "WEATHER THE STORM EP"
GENUINE FAKES is back in action with the “Weather The Storm EP”. These three top shelf tracks are all brand-spanking new and inspired by the weather. First on deck, is ‘Hurricane’. Genuine Fakes takes a cue from Bristol-UK band MASSIVE ATTACK, and unleashes a windstorm of trip hop with a male vocal you won’t forget. The second tune is ‘Electric Wind’, which is sprinkled with a turbine-driven piano line. The jazz-inspired ‘Swinggy Fog’ keeps things hazy and upbeat and fills out the EP. All three of these tracks are foresight of what to expect on his next album. Lastly, the ever-present label-boss DJ 19, reconstructs ‘Hurricane’ by layering additional rhythms that lean more toward being a re-edit than a remix. GENUINE FAKES is back after his debut album “Okinawa Lounge Sessions” which vaulted him into the spotlight and straight to the top of Japanese Chillout scene. Several of the tracks reached the No.1 slots on a Japanese digital download websites. As a result of this unexpected success, two tracks ‘Because Of You’ and ‘All Night’ were delivered as singles with remixes designed for club dance floors the world over. This time he is back in action with the “Weather The Storm EP”. These three top shelf tracks are all brand-spanking new and inspired by the weather. First on deck, is ‘Hurricane’. Genuine Fakes takes a cue from Bristol-UK band MASSIVE ATTACK, and unleashes a windstorm of trip hop with a male vocal you won’t forget. The second tune is ‘Electric Wind’, which is sprinkled with a turbine-driven piano line. The jazz-inspired ‘Swinggy Fog’ keeps things hazy and upbeat and fills out the EP. All three of these tracks are foresight of what to expect on his next album. Lastly, the ever-present label-boss DJ 19, reconstructs ‘Hurricane’ by layering additional rhythms that lean more toward being a re-edit than a remix.